"Per unueco oni kreas nacion." Translation:Through unity one creates a nation. By Unity, one creates a video game. Ĉu oni povas provi unuecon al la tuta mondo? I love all these sentences:) Duolingo is so inspiring and moving! Sed... kio pri "Bona patro ne ĵetas la bebon"
Well I don't think I believe in the idea of nations so I'm not sure I agree. (From Wikipedia) A nation is a large area of land ruled by one government. A country is a region that is identified as a distinct national entity in political geography. From what I can make out, it would be called a nation before (or without) gaining international recognition (like the Navajo nation in America. It won't become a country anytime soon unless a majority of the population decides that the Navajo nation should become it's own country. It would be called a country when it has international recognition (such as UN status). The amount of countries various from person to person, but I hope that has cleared up when to use each. 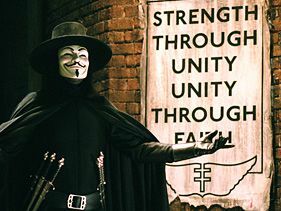 not to be confused with the tool "Unity"
Ne, per la forteco de armiloj. Ŝajnas, ke tiu estus malŝatata reĝestaro, se ili bezonus soldatojn por teni la pacon. Kion pro amo por la lando? Bonvolu traduki "reĝestaron" amiko. Mi vin antaŭdankas.